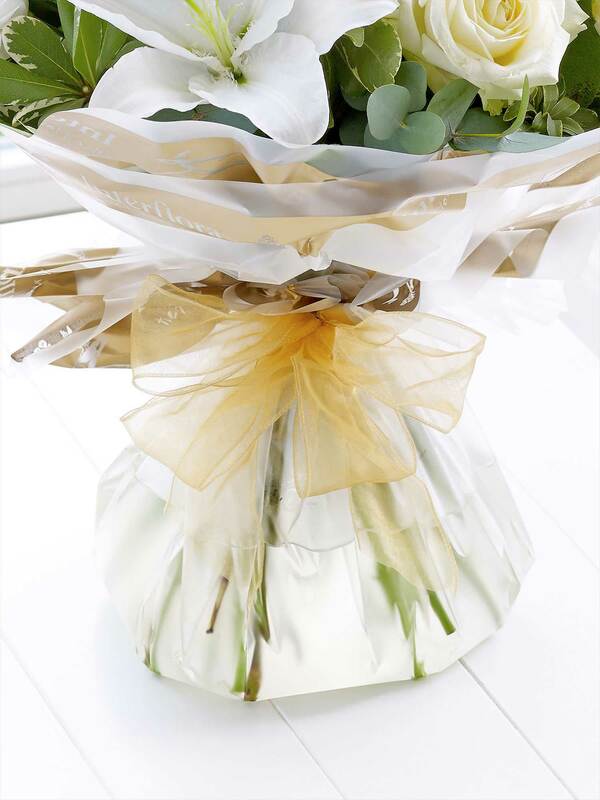 This is a very elegant, contemporary hand-tied bouquet. 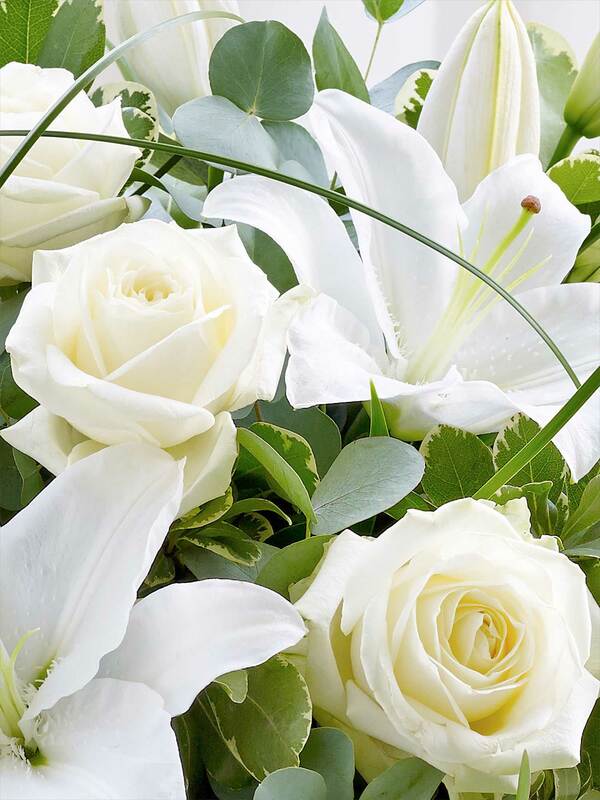 Groups of crisp white flowers are beautifully framed by loops of steel grass. 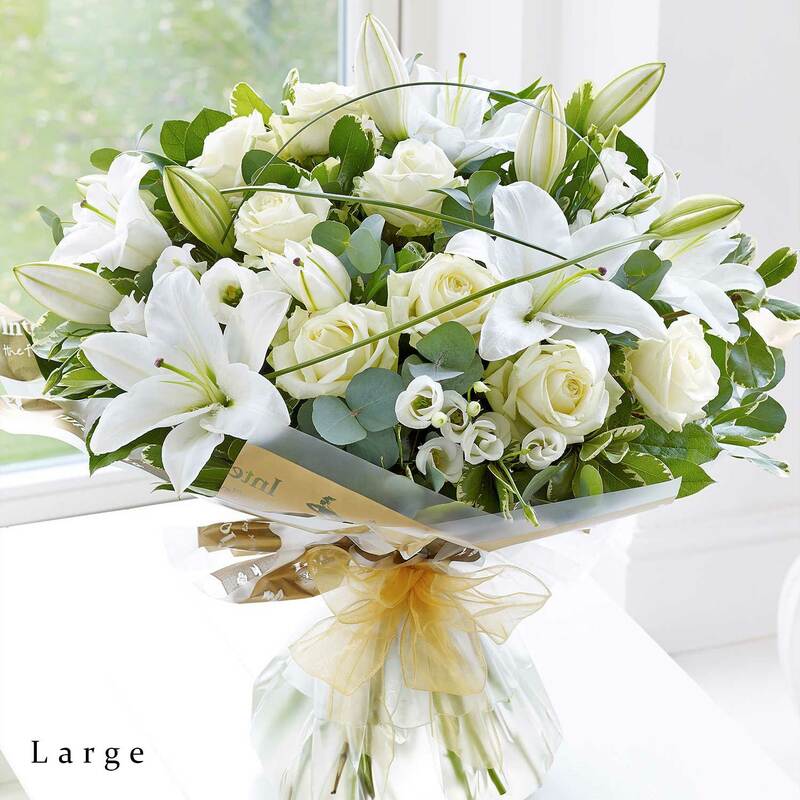 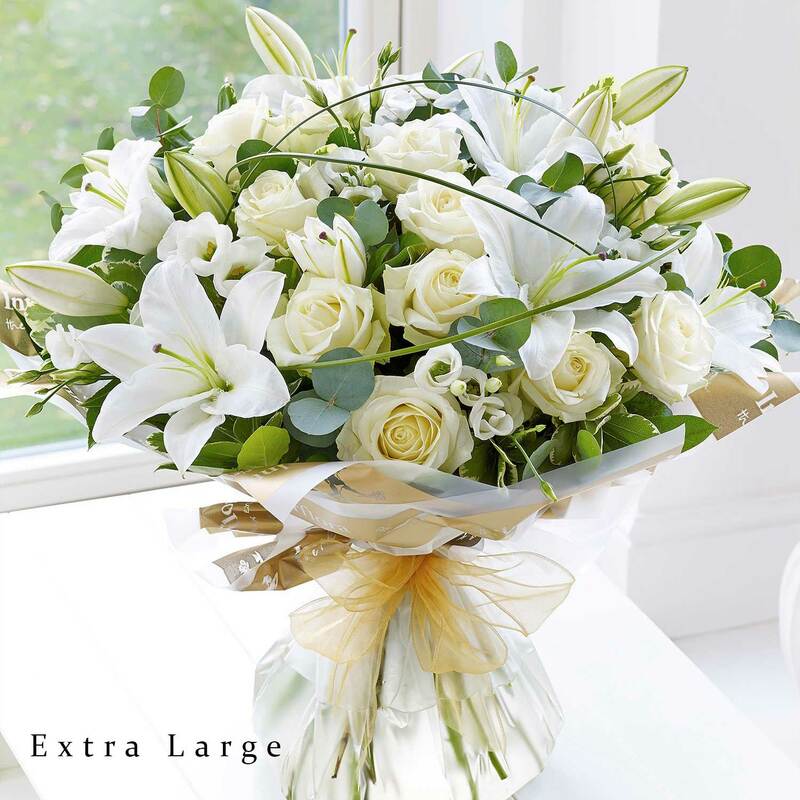 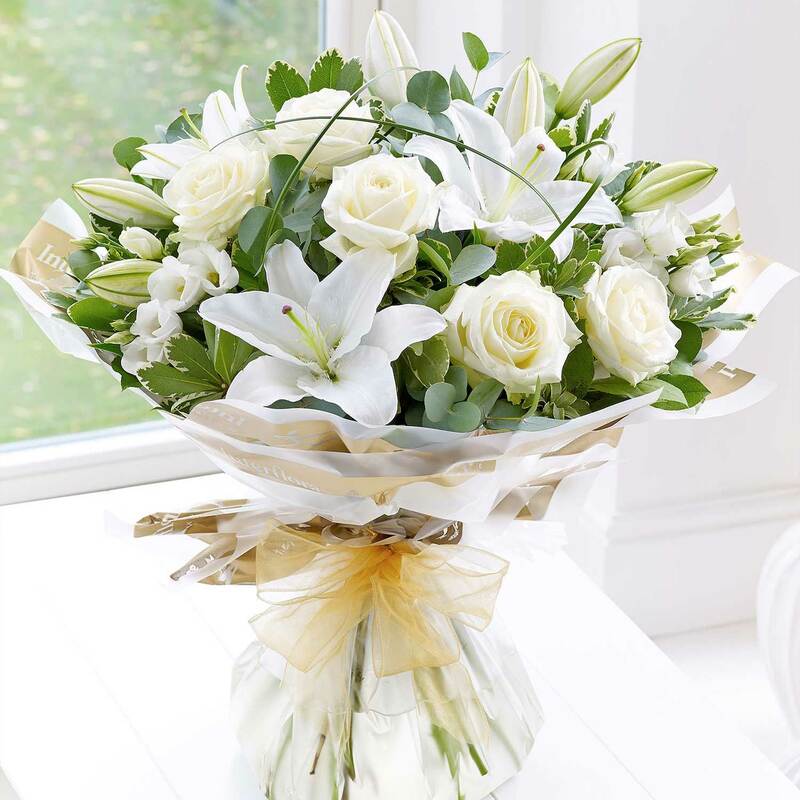 Its simple in colour, but intricate in design, and the lilies give a sweet scent to the bouquet.